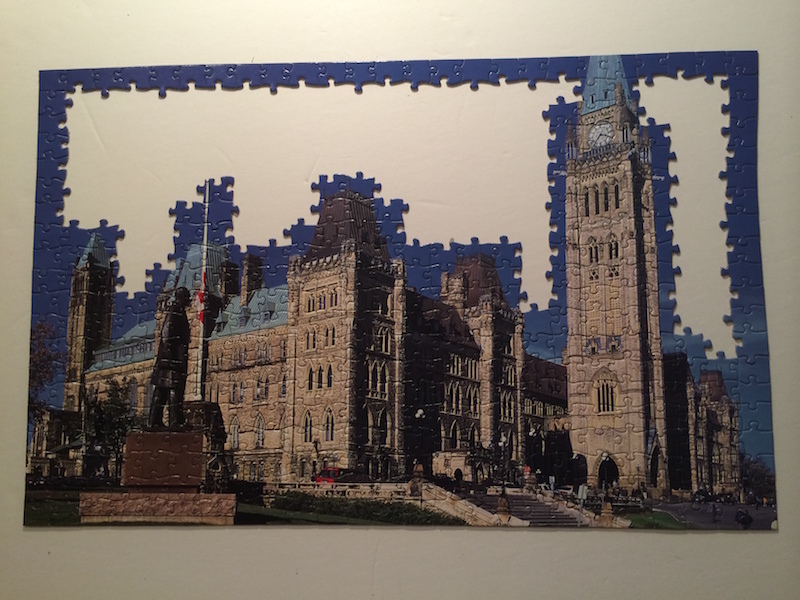 I assembled from the bottom up, leaving the blue sky for last which was extremely tricky. 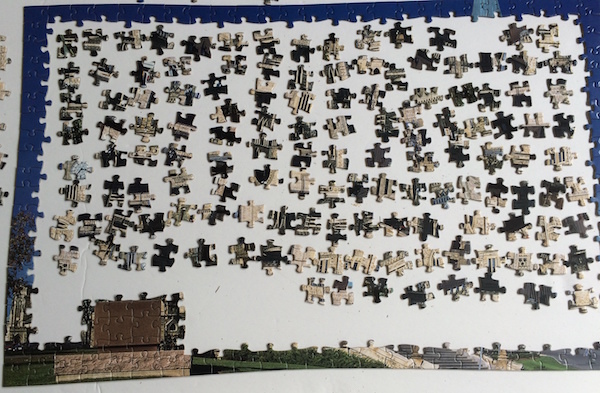 After completing the entire image I used my 'No Glue' method which is simply putting wide clear packing tape on the back of the puzzle, place it on top of precut same-size foam board, then sealing it with heat shrink-wrap clear plastic. 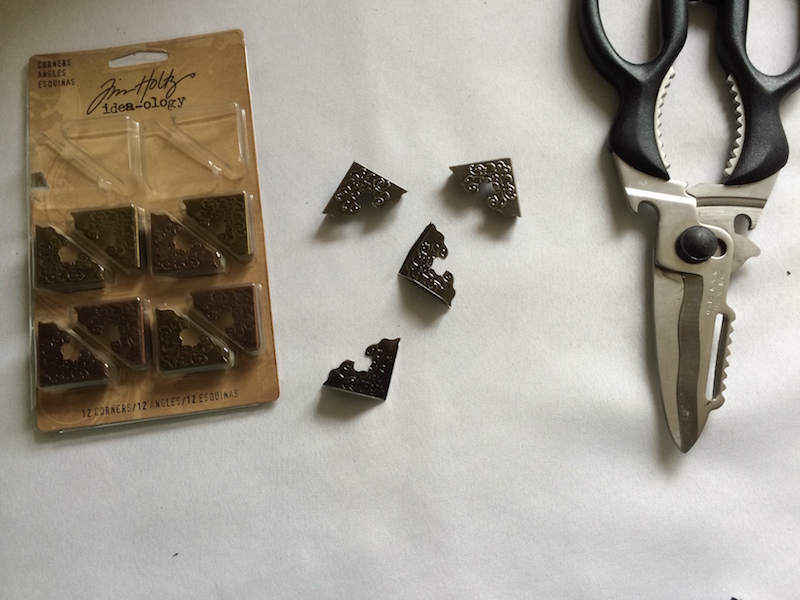 I then purchased poster board hangers and a package of corner frame clips as shown below. 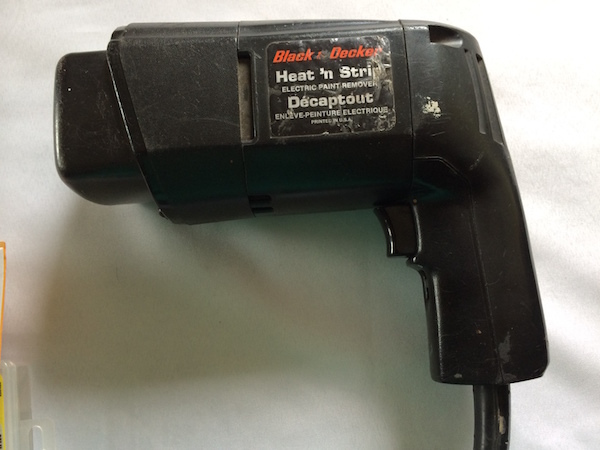 Using the heat-gun we carefully warmed the cut-to-size poster hangers with the heat gun. 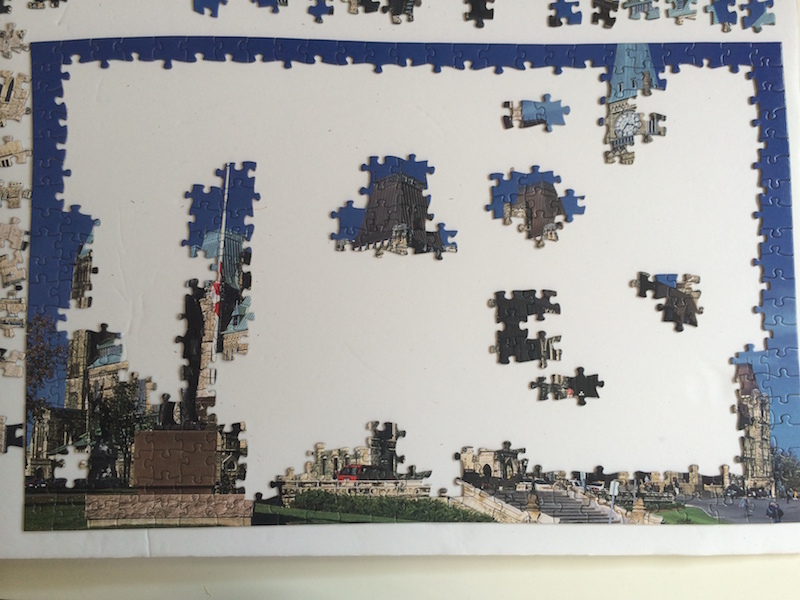 This gave the poster-hangers some flexibility to slide over the 4 edges of the puzzle/foam board. 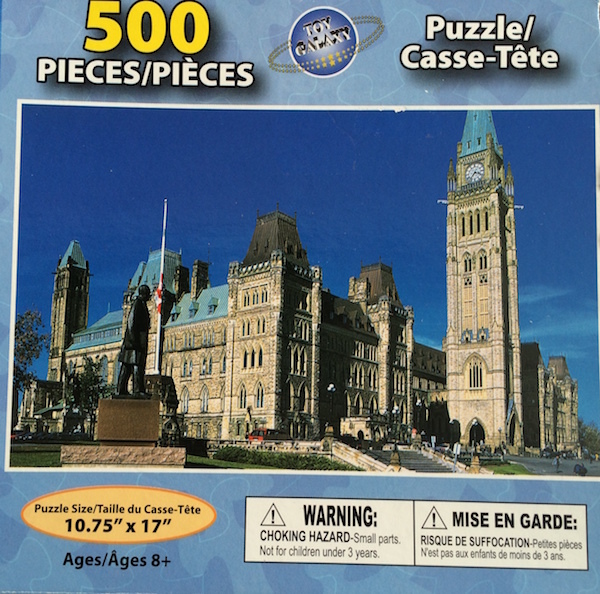 Shown here in the following images, you can see how the sides are cut short enough so they do not overlap but just meet to the top and the bottom. 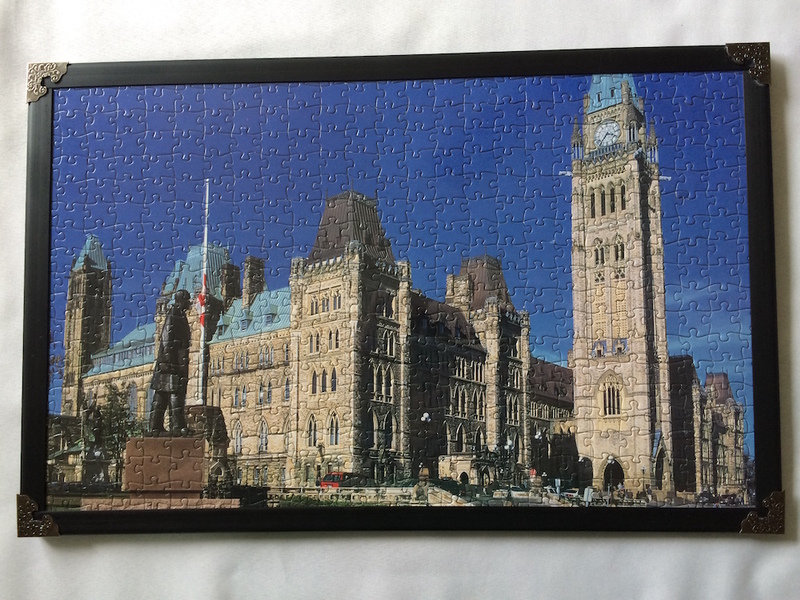 Once all 4 sides are in place, we took the Super Glue and secured the 4 corner Frames into position as shown below. 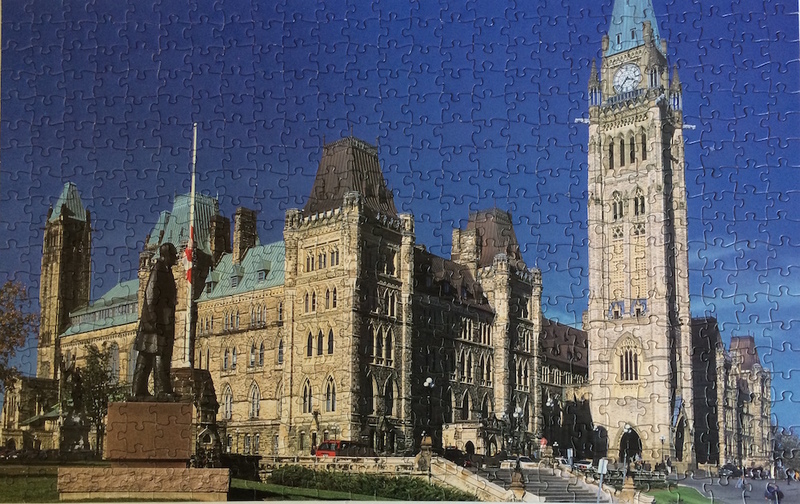 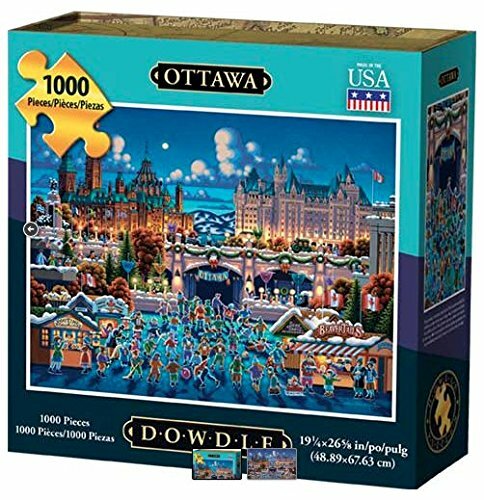 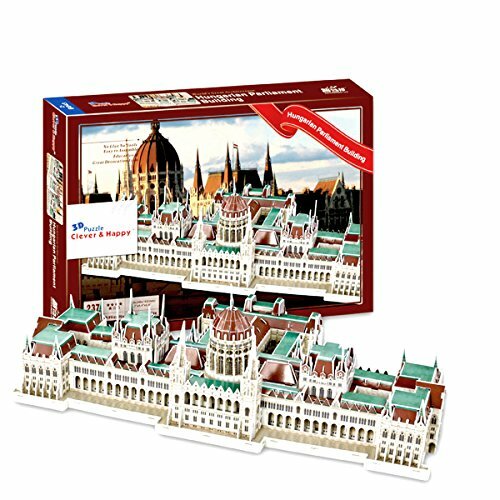 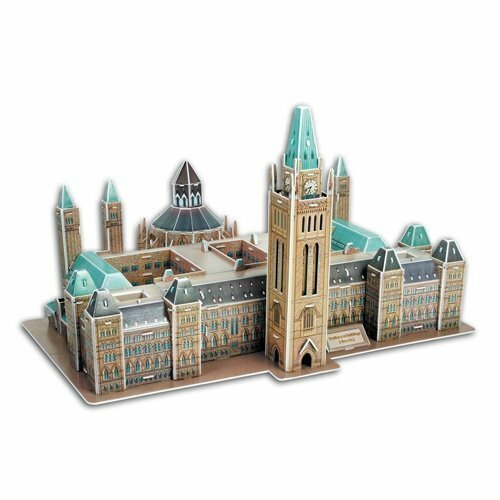 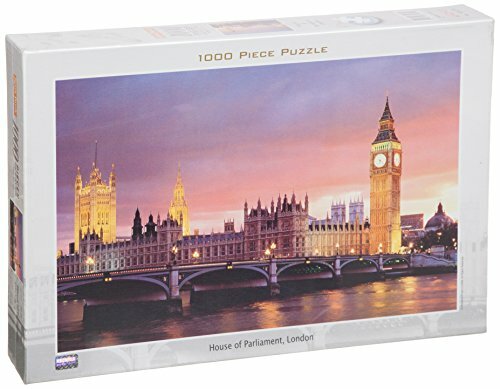 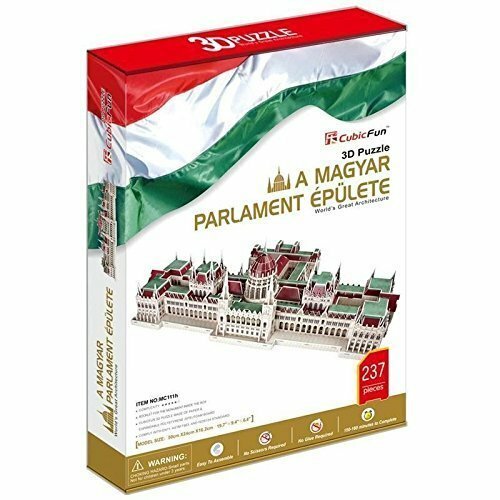 It is rare to see images like the Ottawa Parliament buildings in a jigsaw puzzle. 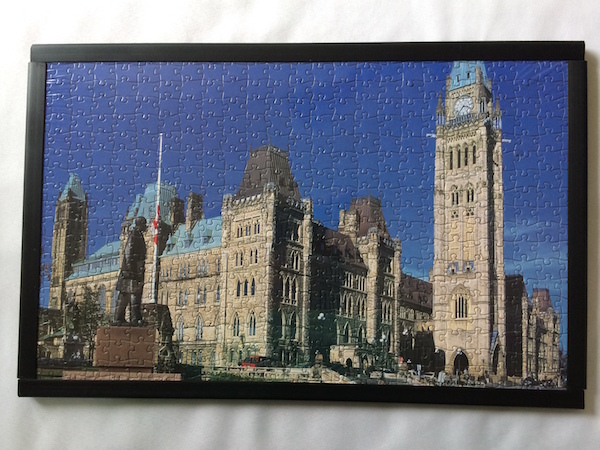 I was lucky to locate this one so I assembled and framed it. 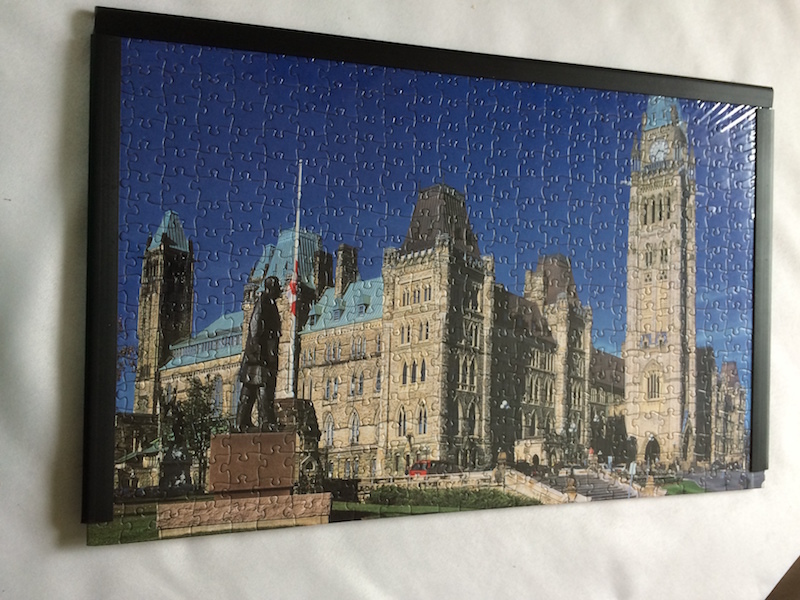 The drawback for this type of frame is the image loses the thickness of the frame all the way around - in this case I am all ok with that. 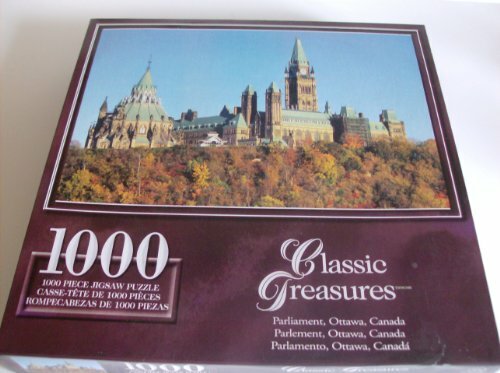 In this case where the quality was lower and the pieces were of medium quality - it was the image that was the attraction because of the connection to me living in Canada. 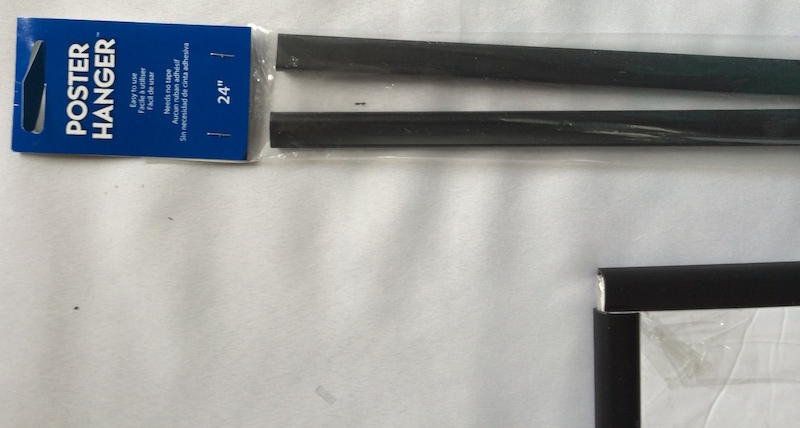 However, I do give this brand a lower recommendation.